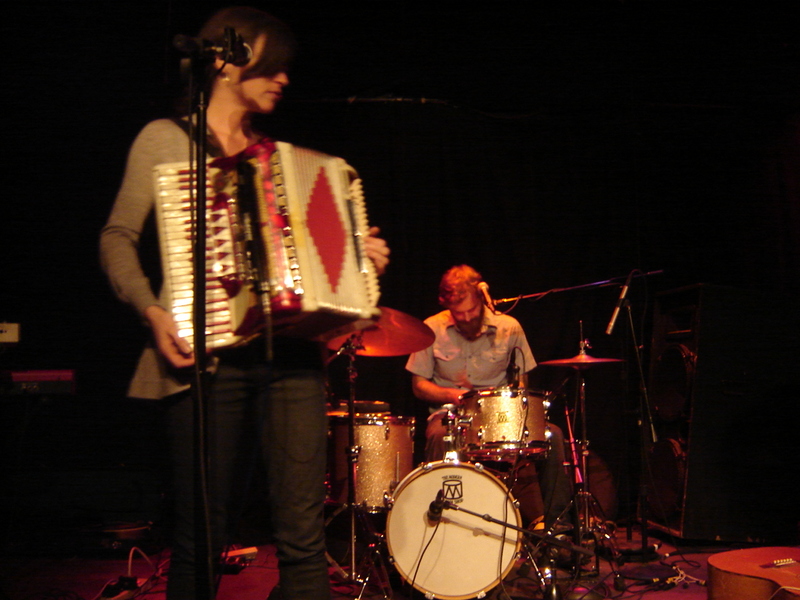 Bowerbirds | True Endeavors Presents: music, tours, tickets, mp3 downloads, concert pictures, videos, Madison WI. As just about anyone who populated the High Noon Saloon last Sunday night can attest, the sweetly soulful, mellow sounds of Bowerbirds in a live setting are nothing short of spectacular. 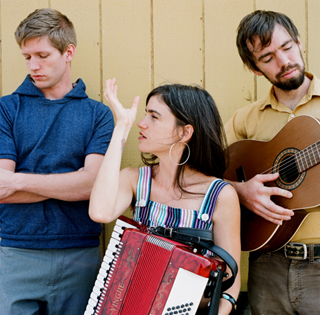 The North Carolina-based indie folk headliners were not, however, the only band who successfully mesmerized the eager ears of the audience. Performances by opening acts Peter Wolf Crier and Sharon Van Etten no doubt earned the respective artists a great many new fans as well. We’d like to share a few still photos (by Shelley Peckham) and live video (from Justin Kibbel) to remember the night by, as well as a link to listen to the full album stream of Peter Wolf Crier’s latest release, Inter-Be. Enjoy! Were you at the show? Post your thoughts in the comment section below. 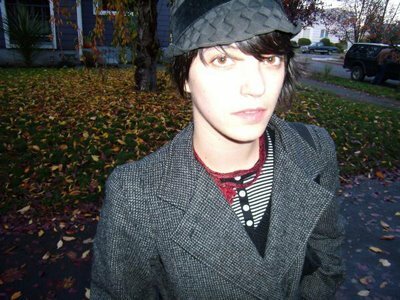 Sharon Van Etten has one of those rare voices that cuts straight to the hearts of her listeners. Following in the vein of beloved indie gals like Cat Power and Jana Hunter, Van Etten creates songs that (to borrow a phrase) float like a butterfly and sting like a bee. Naturally, we’re more than a little excited to get to see her perform live in Madison at the High Noon Saloon this Sunday (Jan. 17th) when she opens for Bowerbirds. (Tickets for that show are still available here.) To find out more about this incredible artist, check out Alex Schaaf’s recent “6 Questions” interview with her (plus a free mp3 download!) over at Muzzle of Bees. Hope to see you at the show on Sunday! Happy Monday, Madison! To help kick those back-to-work blues away, why not start making fun plans for next weekend? It’s never too early! We’re bringing you music for all ages this Sunday at the High Noon Saloon, starting with kids’ fave Ralph’s World at 11am, and Bowerbirds later that evening. Read on to find out more about these artists and enter to win tickets to the shows! This gorgeous, heartfelt song was one of my personal favorites from 2009, and it’s yours to download and enjoy free of charge. If you’re jonesin’ to see these talented artists perform right here in Madison, you’re in luck! 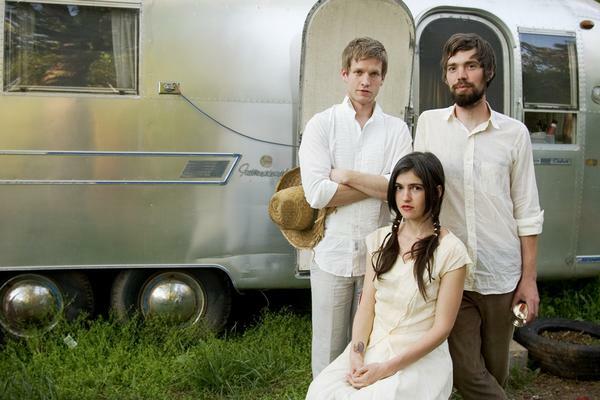 The Bowerbirds will be at the High Noon Saloon on January 17th. Tickets are available here. More free Bowerbirds downloads can be found here. Hey blog readers! Starting this week, we’ll be combining Monday Ticket Giveaways with Wednesday’s Week In Shows. Now when you check in on Monday, you can preview the shows that are coming up in the week and maybe even score some free tickets, all in the same post. Read on to see what’s in store for this week and find out how you can win tix to Tallest Man On Earth or Good Old War! Psst! That’s not his real name…and he’s not even all that tall, but “Tallest Man On Earth” sure looks great on a concert poster! Musicians love to get creative with their stage names, and there are a TON of great ones out there. How many can you think of? Post your list in the comments and we’ll pick one lucky contestant to be added to the guest list for the show! There’s a line in Good Old War’s ‘We’ve Come A Long Way” that goes “I thought I’d learn to behave, but I don’t feel I’m acting my age.” Is that supposed to be a bad thing?! For those of you who refuse to grow up, let us know how you manage to stay young at heart. Your response might just land you and a friend a spot on the guest list for the show!